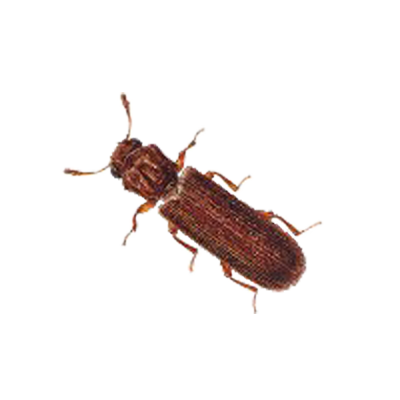 Second only to termites in destroying wood, Powder Post Beetles leave small, round holes in wooden articles along with a residue of fine, powder-like dust.These beetles range from 1/12″ to 1/3″ in length and from reddish-brown to black in color. The basal segment of the abdomen is as long as the second and third combined. The body is flattened and the head is visible from above.